A native to eastern U.S. 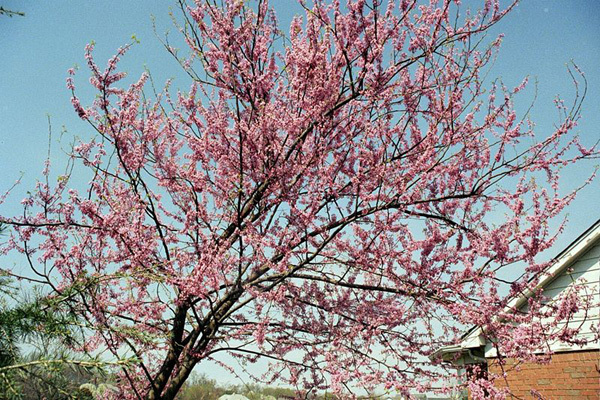 The fastest growing of all redbuds and most apt to take tree form. Leaves are a lustrous dark green turning yellow-green to yellow in autumn. They are simple, broad-ovate to suborbicular, 3" to 5" across, often wider than long. The flowers are very showy in the late winter, early spring. Flowers are very showy in late winter and early spring. Flowers appear before leaves.